Sparkys NOW | Cranbourne Electricians & Electrical Contractors! on Call and Servicing Cranbourne NOW! 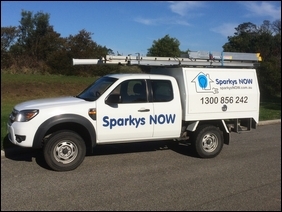 At Sparkys NOW, we recognise our reputation as trusted electricians in Cranbourne is everything and as such we pride ourselves on our commitment to customer service and satisfaction. When you choose Sparkys NOW we guarantee our commitment to providing professional service through our qualified Cranbourne electrical contractors. Our expert electricians provide the best in electrical solutions in Cranbourne and surrounding areas, and are fully insured, police checked and hold a current working with children clearance. Sparkys NOW have built their solid reputation as fast & punctual electricians. With 24/7 emergency electrical services, our same day service guarantee and service usually within the hour, you can count us for all of your electrical needs.